Waterpik NML-603s Linea 6-Mode Showerhead features elegant design that replaces your traditional shower head with modern one. Compact and sleek lines, we love the contemporary chrome design and not only that, its pulsating massage technology offers you a relaxing spray or stimulating massage. No assembly required should be a plus point for this unit, yes, easy installation, only hand tightened, no leaks. Aside from its good look, Waterpik also boasts OptiFlow technology, meaning that you will get 30% greater spray force from the same amount of water, sounds good heh? 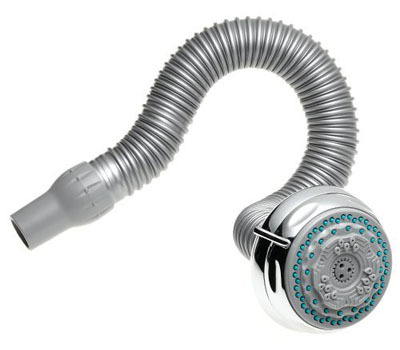 CLICK HERE to checkout Waterpik NML-603s Linea 6-Mode Showerhead, you can also view the comparison between other Waterpik showerhead models.